A design that takes its cues from natural processes for creation is referred to as biophilic – rather than green design, which is used to keep harm from coming to the environment, biophilic design imitates the processes that allow the natural world to survive. Biophilic design has been used in a 3D printing construction project with living materials before, and now multidisciplinary artist and architect Philip Beesley has used the design philosophy in his latest work, Astrocyte, which was recently displayed at Toronto’s EDIT: Expo for Design, Innovation & Technology. Beesley, of Philip Beesley Architect Inc. (PBAI), is a professor at the University of Waterloo’s School of Architecture, as well as the director of the Living Architecture Systems Group. PBAI created the Astrocyte structure together with 4D Sound; the work was supported by the Social Sciences and Humanities Research Council of Canada and the Ontario Arts Council. The breathtaking, interactive piece, made of custom glasswork, acrylic, mylar, sensors, and 3D printed lights, combines multiple systems and technologies, like chemistry, artificial intelligence, and a responsive soundscape, to make a piece of living architecture that actually responds to viewers’ presence. Roughly 300,000 individual components make up Astrocyte, including the 3D printed lights and a kind of chemical skin made up of custom glasswork formations holding solutions including oil and inorganic chemicals. The giant scaffold structure, which was inspired by astrocyte nerve cells, may look delicate, but is stronger than it appears, and not only reacts to viewers’ gestures and movements, but also invokes emotional, often respectful, reactions. The work responds through vibrations, light patterns, and surround sound, similar to signals moving along a nerve, and the oils and chemicals inside the glass represent the energy and structure of organic life. Astrocyte is especially awe-inspiring against the industrial backdrop of an abandoned Unilever soap-manufacturing factory, which is where EDIT 2017 was held. “The structure is suspended within a massive space at the topmost level of Toronto’s Unilever factory building. The interactive sculpture uses a hovering interlinked skeleton structure that supports distributed interactive controls, an immersive network of distributed sound, and masses of kinetic pores, lights, and vessels,” according to EDIT 2017. But more than just a beautiful, engaging piece of artwork, the piece personifies Beesley’s research into whether or not architecture can really be considered living. PBAI and the Living Architecture group are looking into future building materials that could be used to create self-repairing structures or responsive organic environments. Regardless of what you think about truly ‘living’ architecture, the Astrocyte structure, while it looks like something from a sci-fi movie with its 3D printed lights, can definitely interact with the people who come to see it. What do you think of this artistic endeavor? 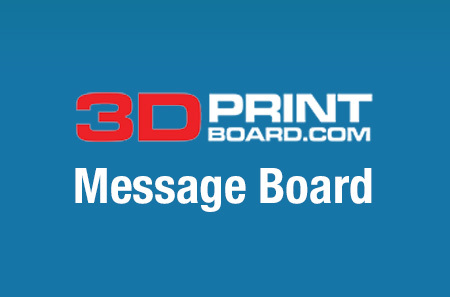 Let us know your thoughts of this and other 3D printing topics at 3DPrintBoard.com or share your thoughts in the Facebook comments below.